Browse our extensive iris catalog and find your favorite Iris. Place your order and we will begin shipping Priority Mail in the Fall, 2019. You will receive a notice before your order goes out. 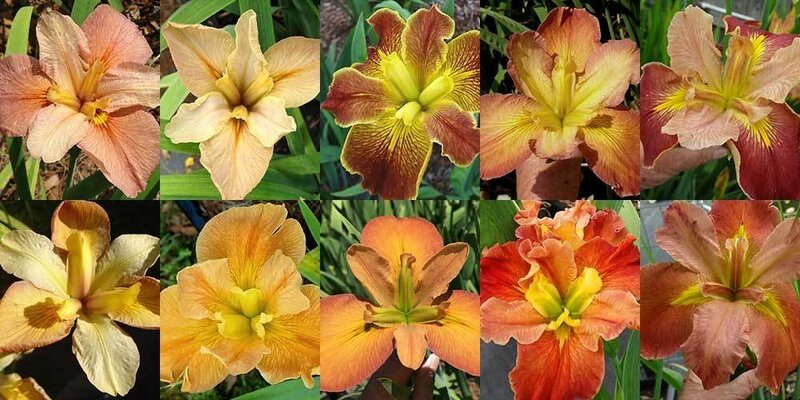 Collection of 25 iris in mixed shades of orange, peach and apricot. These are sold as one lot and will not be tagged, but will be a mix of orange-peach-apricot shades from the stock I carry.